At Northeast Addictions Treatment Center we aim to provide the best continuum of care for men, women, and the families who suffer from the horrors of addiction. We believe each individual case needs to be examined uniquely so we develop individualized care plans for each client we see. We not only want our clients to be comfortable with the treatment they’re receiving but their families as well. 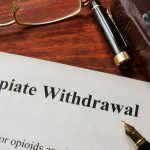 Individual Therapy sessions can help family members better understand how to cope with a loved one’s addiction as well as strategize ways to build their life-long recovery goals. Group Therapy allows the patient to share their experiences with other people going through similar struggles. Guided by an addiction professional, the sessions can imbue participants with necessary skills for recovery, psycho-educational knowledge, a feeling of peer support, etc. depending on what the session necessitates. Northeast Addictions is proud to boast one of the most innovative and effective expressive therapy components in the world of treatment. Research points to the fact that we store trauma in our bodies and expressive therapy aims to release that trauma through dance, art, writing and movement. Cognitive Behavioral Therapy is designed to change patterns of thinking or behaviors by focusing on the images, attitudes, images, and thoughts that a person endures. By educating them on how these thoughts and processes relate to their behaviors, we can develop new strategies to tackle and overcome them. Didactic Therapy fosters a classroom environment that emphasizes group participation as a means of encouraging recovery and community. These group sessions offer the patients a strong support network and educate them on the phenomenon of substance use disorder. Internal Family Systems Therapy deals with the personality system and shares many parallels with Alcoholics Anonymous. IFS show that the mind is made up of distinctive sub-personalities that each have their own unique points of view and qualities. If you have any questions about the therapies we offer call us today at (800) 851-1941.